Right now, I'm reading Along for the Ride by Sarah Dessen. I love Sarah Dessen - her book Someone Like You is one of my favorite books ever - but it's been several years since I've read anything by her. I've been hearing a lot about her recently with the release of her new book What Happened to Goodbye, so I thought it was time I started reading her books again. I'm about 1/3 of the way through Along for the Ride and I'm really enjoying it. 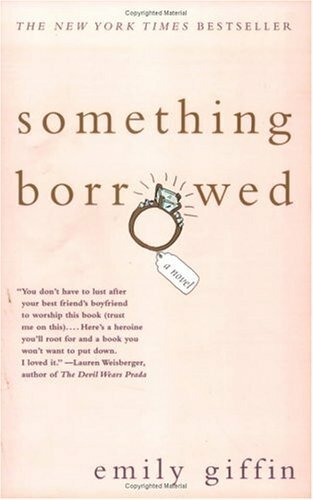 The other day, I finished reading Something Borrowed by Emily Giffin. You can read my review here. I loved it and gave it 4 and a 1/2 stars. My answer is the same as last week because I forgot that Along for the Ride was due back at the library sooner than Two-Way Street by Lauren Barnholdt - haha. It's a book I saw reviewed on a number of other book blogs and was curious about. After that, it'll be one of my 2 other library books - Size 12 is Not Fat by Meg Cabot, or The Perks of Being a Wallflower by Stephen Chbosky. So, what are you reading this week? Have you read any of the books on my list? Have any suggestions? I'd love to hear from you! 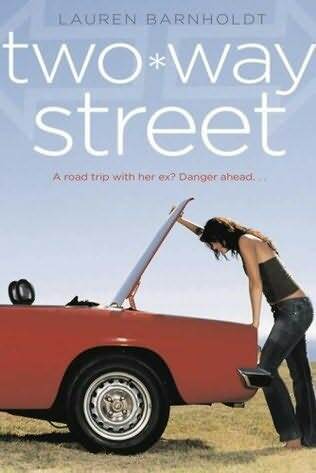 I love the cover for Two Way Street. I have Something Borrowed in my tbr stacks. I'll have to check out your review. I have never read a Sarah Dessen book yet but I do adore her book covers. I really need to give one of her books a try. Going to read Witch and Wizard. Along For The Ride was awesome! As well as Two Way Street!